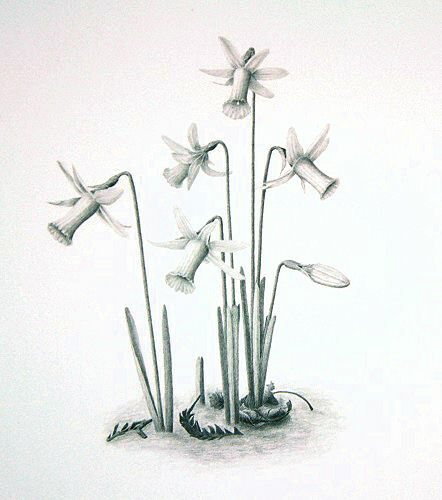 Narcissus jacetanus x cyclamineus. My own cross between these two species. Graphite pencil on Bristol board.